IRVINE, Calif., Nov. 19, 2018 /PRNewswire/ -- Created by an avid skateboarder with a science and engineering background, who is seeking to solve durability and coning issues that arise with other skateboard wheel brands, Nano Tech Plastics has launched an innovative skateboarding wheel designed and produced using nanotechnology. Created by an avid skateboarder with a science and engineering background, who is seeking to solve durability and coning issues that arise with other skateboard wheel brands, Nano Tech Plastics has launched an innovative skateboarding wheel designed and produced using nanotechnology.By combining specially-modified material and ultrasound technology, the team behind Nano Wheels have been able to develop an advanced product that seeks to lead the way for a new realm of skateboarding technology. Nano Wheels promises a more durable and reliable performance than traditional skateboard wheels and looks to take skateboarding to the next level. Nano Tech Plastics is launching an Indiegogo campaign, (https://www.indiegogo.com/project/preview/ee91ede8 ), to spread awareness about Nano Wheels among consumers, skating enthusiasts, and the investment community. Nano Wheels promises a more durable and reliable performance than traditional skateboard wheels and looks to take skateboarding to the next level. By combining specially-modified material and ultrasound technology, the team behind Nano Wheels have been able to develop a product that seeks to lead the way for a new realm of skateboarding technology. 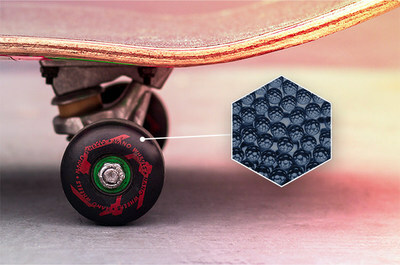 According to company founder and lead inventor, Rafał Warzecha, "Nano Wheels are the first skateboard wheels in the world designed and produced using nanotechnology and they arose from the need to extend the lifespan of wheels and to significantly improve riding comfort for skateboarders. Nanoparticles, on the account of their size, have physicochemical properties and better endurance than current wheels, and this will make Nano Wheels more reliable and durable than anything currently in the market." Nano Wheels will offer two different options for skateboarders of varying skill and capability. The "Basic" variant is intended for all users, while the "Additional" variant has been designed for those seeking greater skid and performance. Greater Abrasion Resistance: Leads to an intense, longer, and smoother ride. Higher Resistance to Coning: Reduces the need to rotate wheels. Variant offering for the high-performance skater: The "Additional" variant is slick and very abrasion-resistant for greater skid. Nano Tech Plastics is launching an Indiegogo campaign, (https://www.indiegogo.com/project/preview/ee91ede8 ), to spread awareness about Nano Wheels among consumers, skating enthusiasts, and the investment community. 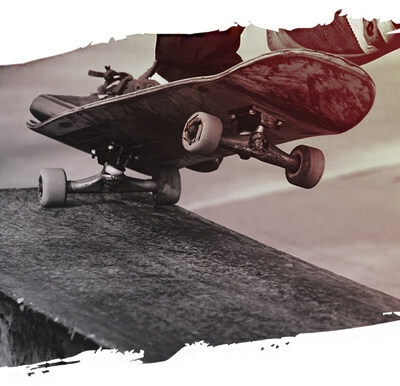 Nano Tech Plastics was created by an avid skateboarder, Rafal Warzecha, who wanted to use his science and engineering background to create a wheel that would help him sustain the intense skateboarding sessions that would wreck other wheels that he would use. Please visit Nano Wheels' Indiegogo campaign to find out more information.